Building off the success of the Star Wars Droid Inventor Kit, we licensed Avengers IP to produce the amazing Avengers Hero Inventor Kit. 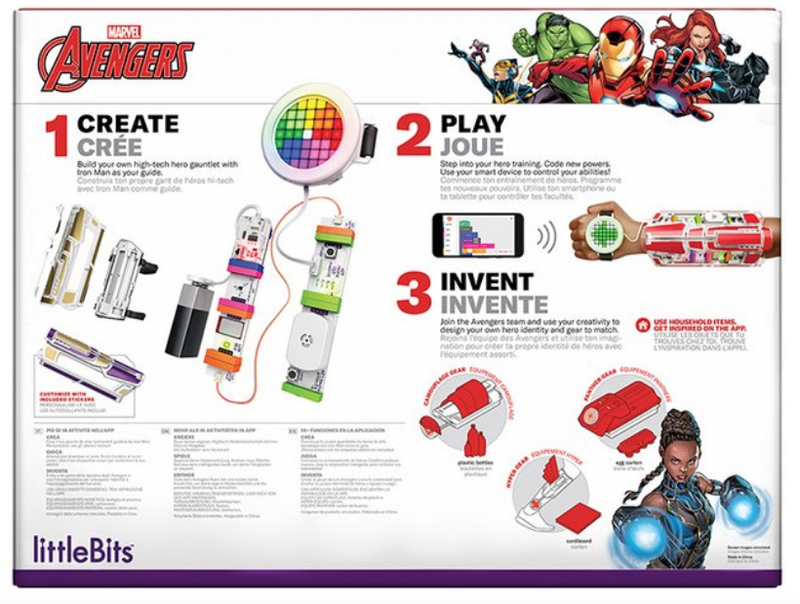 The first wearable inventor kit, that required rigid approval with Marvel HQ and working in close collaboration with LB Product and Software Design to ensure both Marvel and LB brand had consistency across all experiences. Lead execution team, iterated for internal and external approval, and oversaw files to production.